Wool has been the choice of many hunters for decades and is what I grew up wearing while hunting in the 70’s and 80’s. The wool I recall was itchy, smelly when wet, heavy and options were limited. After several decades of synthetic options being the choice of many hunters, wool has made a BIG come back in the hunting industry. 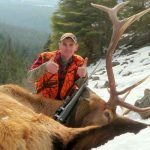 This October and November during my Idaho and Montana Elk hunts, I wore the Duckworth Vapor Hoody and Maverick Snorkel Hoody. North Idaho and Northwest Montana receive a mixed bag of weather in the fall. You can expect plenty of rain, snow and anything in between. This October set records for rainfall in Idaho—exceeding 10 inches—with temperatures ranging from the mid-twenties to the low-sixties. I exclusively wore these two tops as my base layer hunting and packing for 12 days. In November, I put another nine days on the set with temperatures dropping into the teens and under another round of extended rain in Northwest Montana. The Vapor Hoody was typically worn on sustained climbs and high exertion. I am a sweating machine needing a shirt that breathes well yet keeping me warm and with high-wicking properties. The Duckworth Vapor line combines fine micron Helle Rambouillet merino wool with a blend of Polyester and plant cellulose. The Vapor Hoody falls into the lightweight category of shirts with a weight of 130. The first thing you notice with the Vapor Hoody is how soft it is. It has the soft feel of cotton, yet offers the advantages of wool. Many shy away from wool, as often times the product has some itch to it. This shirt has zero itch and feels very nice against the skin. Other than feeling nice, this softness helps prevent skin irritation when your skin is wet from sweat and wearing a pack for endless hours. I had zero irritation on pressure points where the pack was, even when wet for many hours at a time. Due to the light feel, I was worried it may be shredded after my first hunt in an area with a lot of underbrush. Remarkably this shirt made it through the season without a single snag. Many are not fans of hoodies but in an area with a lot of rain and changing conditions, a hoody allows you to regulate your temperature easily. This hoody is what I would call a loose fit, providing more of a draping loose protection, versus a close tight fit. This design helps with temperature regulation, at the same time providing sun and wind protection and the draping effect allows you to still hear well. 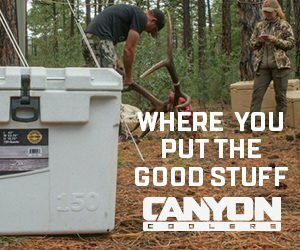 I found the Vapor Hoody to be highly breathable, allowing me to hunt and hike in comfort without a clammy feeling when either sweating or in the rain. It is advertised to produce a natural cooling sensation due to conductive Re-Vaporation which kicks in during times of high exertion. I won’t say it’s like having the air conditioner on, but the design does provide a cooling effect. On the occasional sunny day, I had the opportunity to dry the shirt in the sun when it was soaked from sweat. In short order it would dry extremely fast attesting to the breathability of the hoody. I am 5’7″ 160 and typically wear a large in most tops. I found the sizing to be accurate with a slightly loose fit, versus a snug fit. As noted, I sweat more than most and did not wear deodorant on most days. The shirt was washed a couple of times following the directions. There was little to no shrinkage and some stink was found in the shirt. My take would be that this was more to do with my overactive sweating, than the shirt as this occurs with most my tops if worn more than a day or two without washing, and I gave this shirt the over-extended version, going close to 10 days before any washing. The Maverick Snorkel Hoody is closer to a midweight shirt with a 140 rating. As with the Vapor Hoody, the Snorkel is very soft with zero itch. I would often transition to this shirt from the Vapor when I was either soaked or needed another layer to add or change into for added warmth once a sustained climb was complete. The Snorkel has a zipper allowing you to further regulate your temperature. The Snorkel also features thumb holes. Personally, I am a fan of thumb holes as they provide further protection for your hands in inclement weather and keep your sleeves down when regulating your body temperature as your exertion levels vary throughout the day. The thumb holes are snug, keeping the material close to your skin with little draping which allows you to easily get your gloves on and off as needed and to keep your shirt down when adding outer layers throughout the day. Unlike the Vapor Hoody, the hood for the Snorkel is a snug fit, keeping your head insulated and providing further warmth. Additionally, to help keep wind out, it also comes with a semi-drop tail. Sizing was the same as the Vapor as I ordered a large and that was accurate. Unlike the Vapor, the Snorkel did sustain a few snags requiring repair, which is not uncommon for my wool clothing. The country I am hunting is heavily forested and congested with a lot of underbrush. Regarding care, like the Vapor Hoody, I washed this shirt twice and went 10 days before the first washing. The shirt retained no stink after season, but it did shrink which I believe was operator error in not following the directions and accidently drying for a short period of time. With all wool garments, be sure to follow the directions for proper care. Duckworth is made in the USA and based out of Bozeman Montana. You can find the Duckworth Vapor Hoody and Maverick Snorkel Hoody at Schnees. 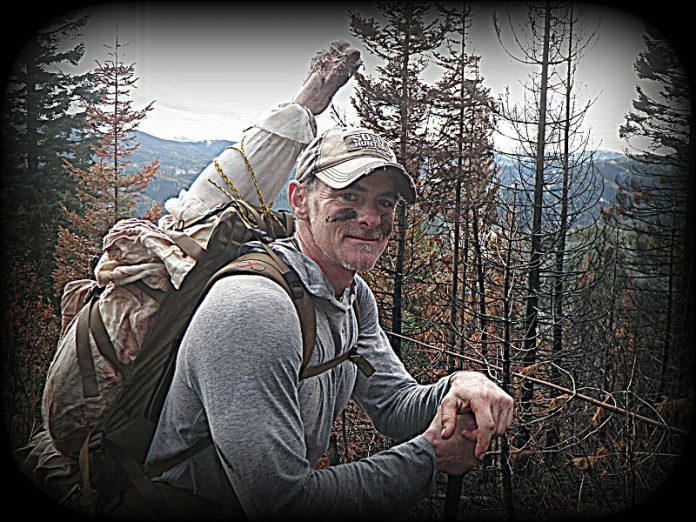 If you are looking for base layers that are extremely comfortable, highly breathable, ultra-fast drying and durable, the Duckworth line of base layers is a very good choice for today’s backcountry hunters!